Location — Limbyayakha, Novy Urengoy, Yamalo-Nenets Autonomous District. 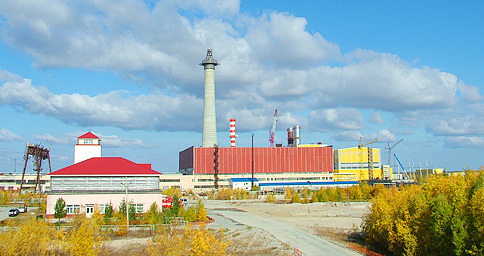 Urengoy TPP is the only permanent thermal power plant in Yamalo-Nenets Autonomous District. Construction of Urengoyskaya TPP began in 1984 on the order of Council of Ministers of the Soviet Union. Two stages of backup and starter CHPP were built and commissioned between 1990 and 1992. In 1994, Urengoyskaya TPP construction was put on hold and later resumed in 2007 after multi-stage ownership change in 2005-2006. Tyumenenergo divested of Urengoyskaya TPP on July 1, 2005, and the latter became a subsidiary of OGK-1 on October 1, 2006. In July 2010, we launched the next phase of construction with Tekhnopromexport as a general contractor.